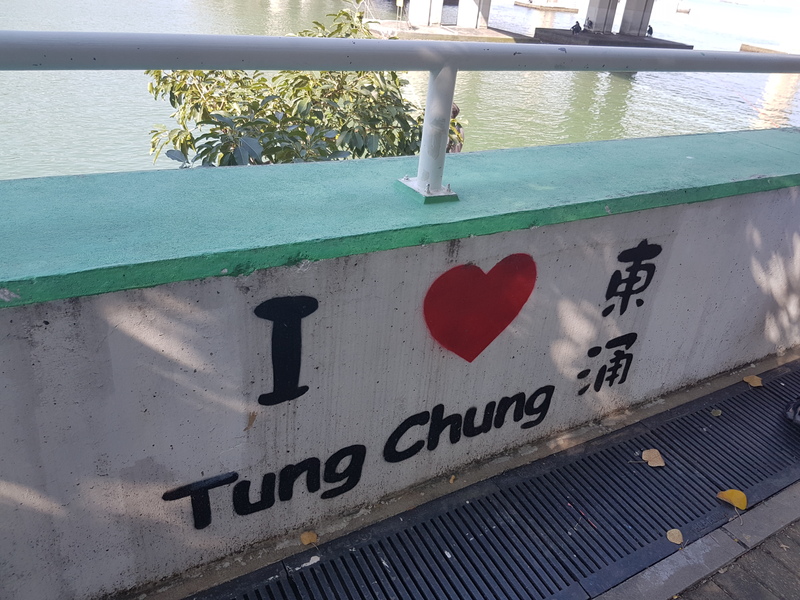 … Yes, I said Tung Chung. 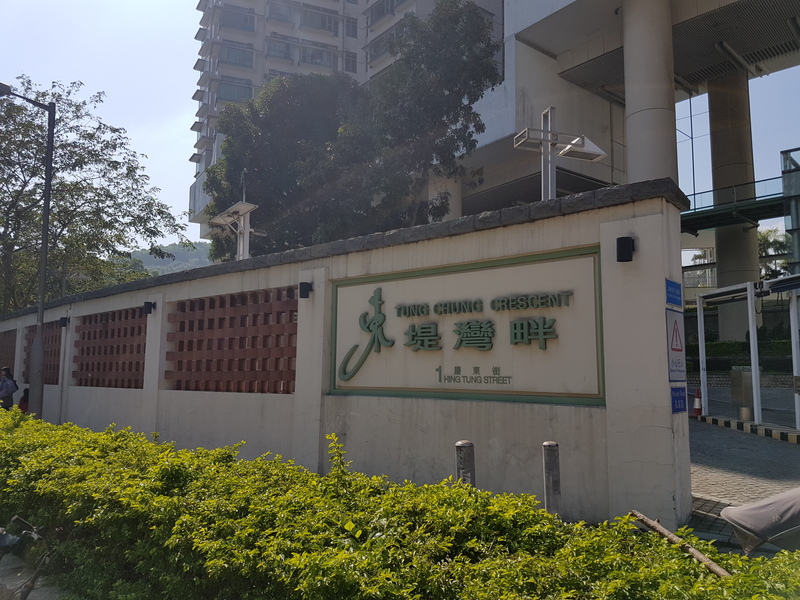 Now granted, this somewhat unlovely outpost of Lantau Island may not be at the very top of your list for a family day out, but humour me for a while as I explain why a journey to the end of the orange line has way more to offer families than an afternoon of outlet shopping. 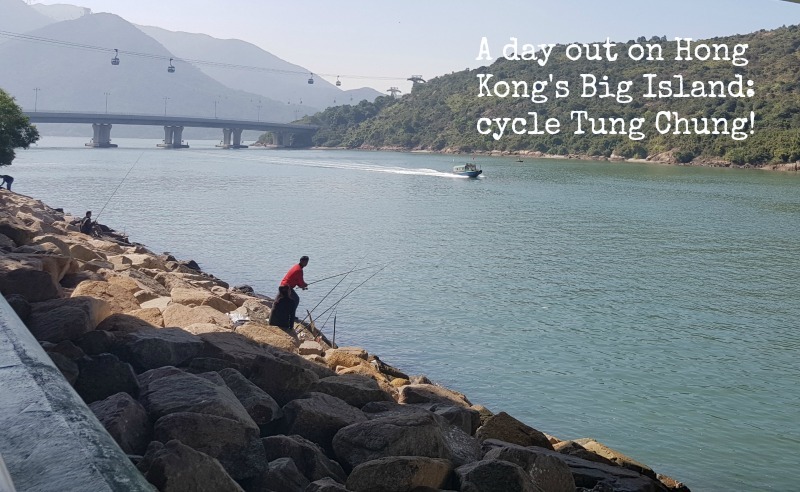 Developed just over 20 years ago, Tung Chung is now a thriving town of over 80,000 people, slated to increase to about 250,000 over the next few years, which means that now is a good time to go (as presumably it’ll soon be too packed to move). Away from the unappealing behemoth that is the Citygate Mall, you’ll find plenty to do with the kids, including several kilometres of designated cycle paths for safe scooting, large playgrounds, splashy water play, kid-friendly eats and even a historic fort to explore, not to mention side trips to spot wild pink dolphins, and delicious street food in Tai O that I’ve already reviewed here. Who said Tung Chung was boring? Assuming you’ve brought your bikes (although scooters may be a little more MTR-friendly) you’ll want to leave Tung Chung Station via Exit A, heading across the road towards the Tung Chung Crescent housing development. If you’re not sure that you’re heading the right way, look for the bike racks in front of the wall near the traffic lights. Bear left, head under the bridge, and you’ll find yourself entering the cycle network that loops its way around Tung Chung, and eventually along to Sunny Bay. 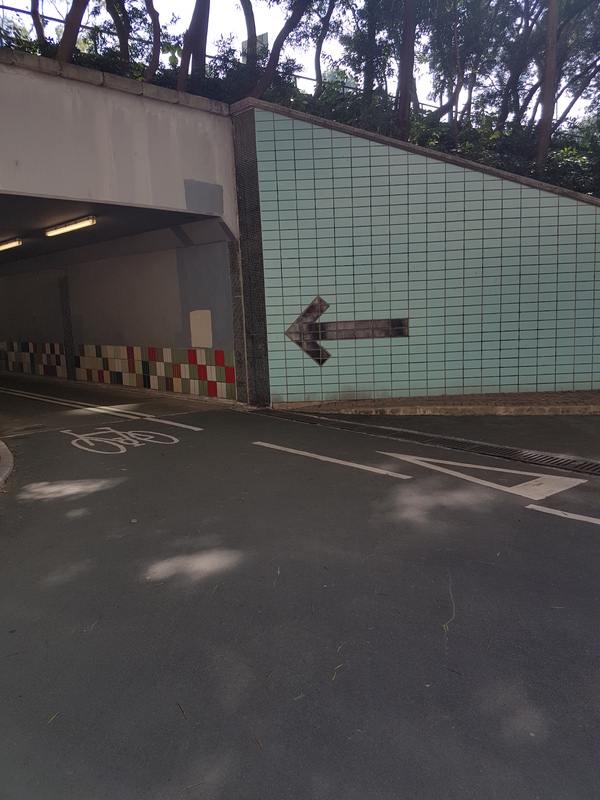 Alternatively, head straight on and you’ll join the path that eventually leads past North Lantau Hospital and alongside Tung Chung Road to Tung Chung Fort. This small, but interesting monument dates all the way back to the 12th century, and has had an exciting history as a pirate base, a garrison, a police station and even a school. 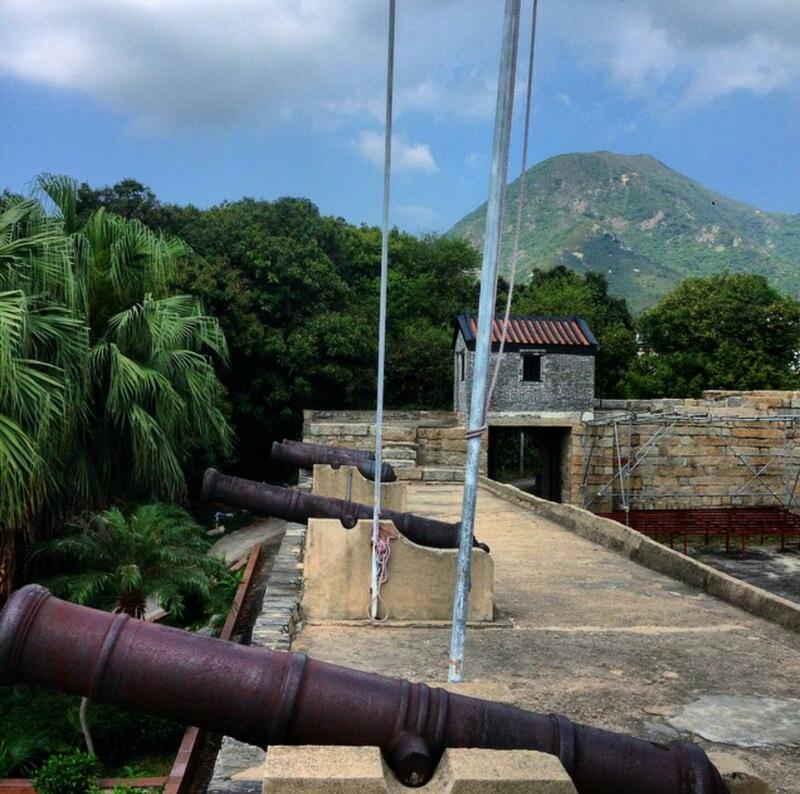 There is a small museum on-site and, most exciting of all, six cannons mounted up on the walls. The Transport Department provides a full map of the route (downloadable here) so you can plan your day accordingly. 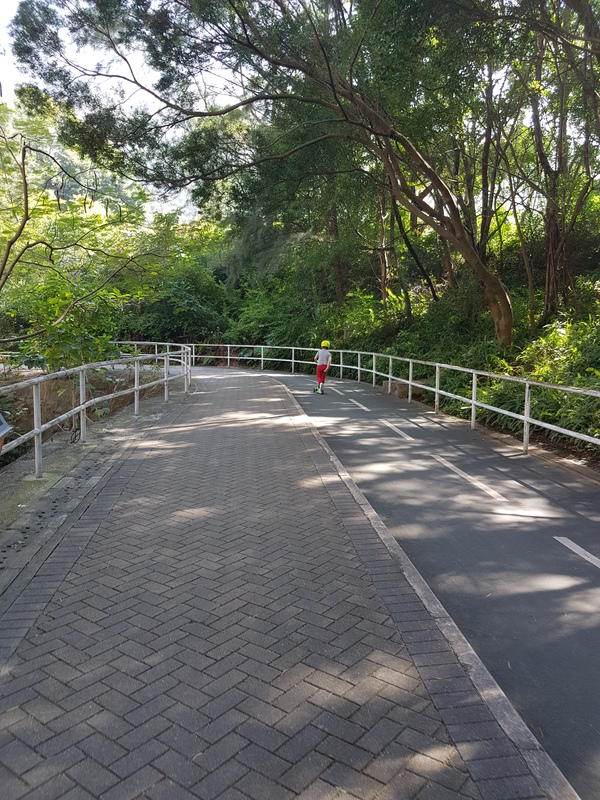 Assuming you take the first route described, you’ll loop behind the Fu Tung Estate and back downhill to Cheung Tung Road (about 7 minutes by bike, 15 on foot). 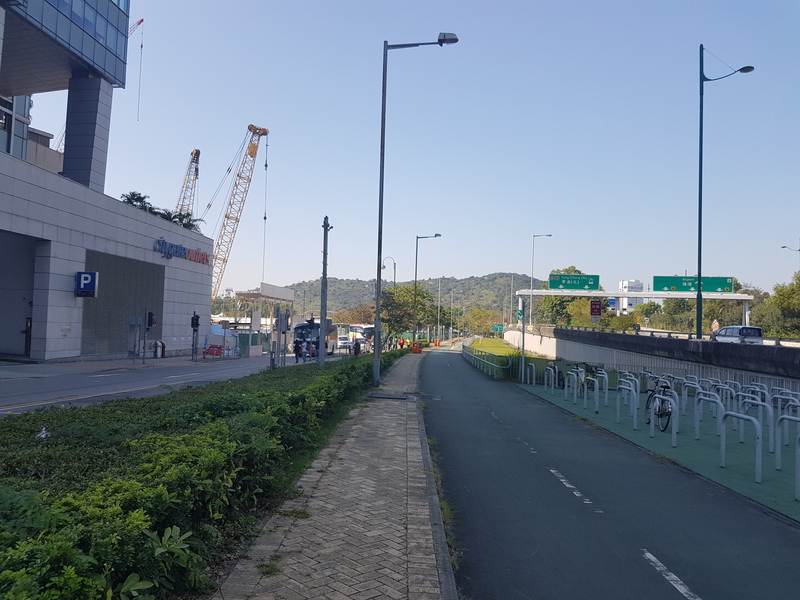 From here, you can either duck into Citygate for a coffee, or cross the Cheung Tung Road to continue along the cycle path past the mall and onwards towards Tung Chung Waterfront. 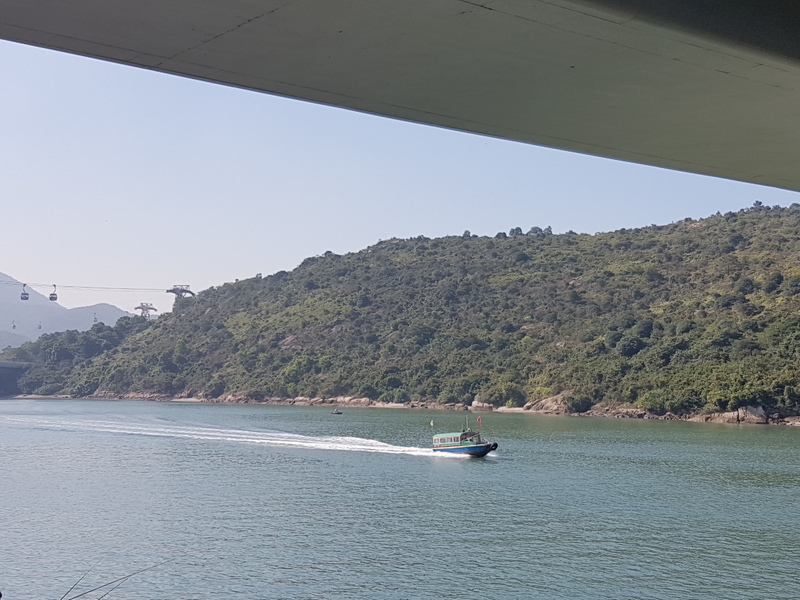 On a sunny day you’ll get fantastic views across to the Ngong Ping 360 cable car, and as you continue along the waterfront, you’ll pass Tung Chung Development Ferry Pier, from where you can catch the ferry to Tai O (timetable here). 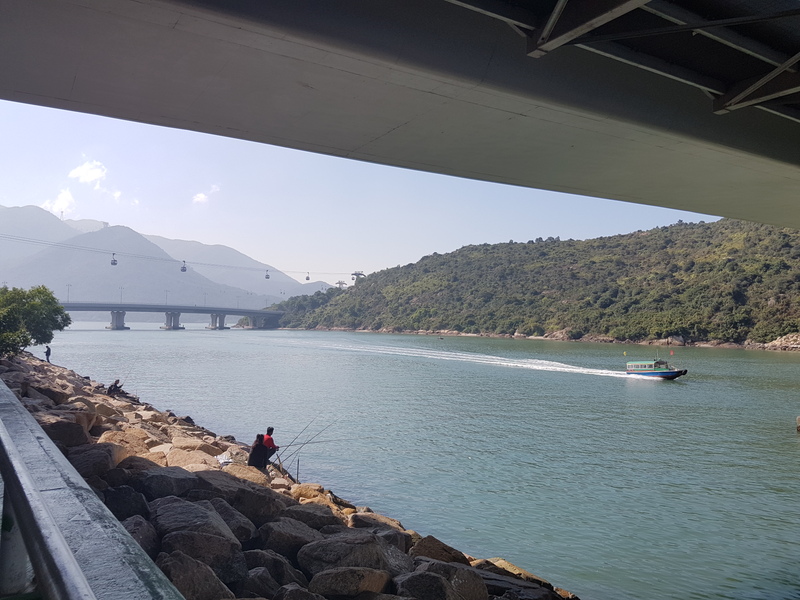 From the pier, continue along Tung Chung Waterfront Road, which becomes Ying Hei Road, and you can follow the MTR tracks for 11km to Sunny Bay. The roads remain quiet for the vast majority of this route, and you’ll pass the Siu Ho Wan train depot along the way (look out for the giant MTR “car wash”), and the pretty inlet at Yam O Wan. 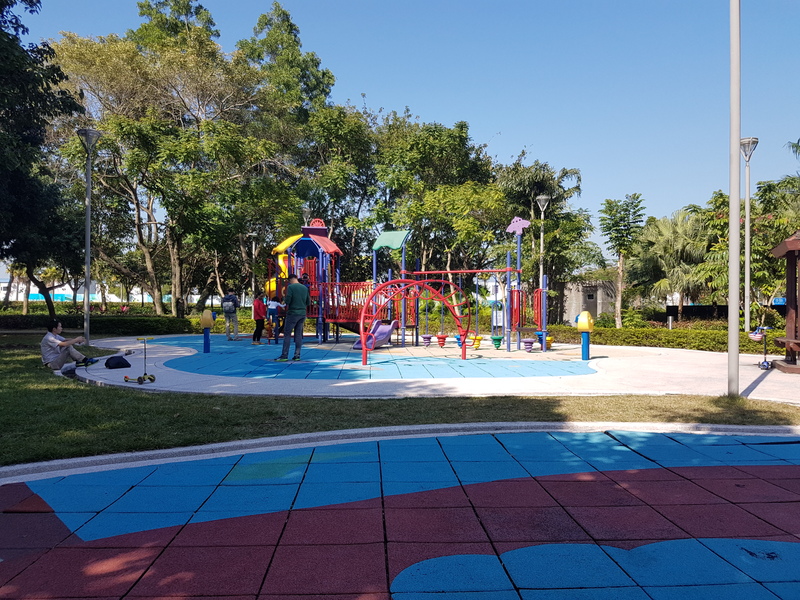 If you’re not feeling quite so adventurous, then directly opposite Tung Chung Development Ferry Pier is Man Tung Road Park, where you’ll find a decent-sized and well-maintained playground, or else you can continue along the waterfront until you reach Yi Tung Road (about 10 minutes), which leads to the 3.8 hectare Tung Chung North Park, and more playground facilities. Assuming everyone’s hungry by this point, head back along Man Tung Road to Citygate Mall, where you’ll find family-friendly eats at Pizza Express on the ground floor. The dim sum at Golden Shanghai Cuisine is also decent, and tends to have fewer queues at the weekend than Federal Palace on the mall’s 2nd floor. You’ll also find a Pacific Coffee, but for my money, a flat white and a Lamington at Moccato (first floor, next to the entrance to the Novotel) is a far better bet. Away from the mall you’ll find Genki Sushi, or, if you’re really desperate (and really, no-one should ever be this hungry), Pizza Hut. 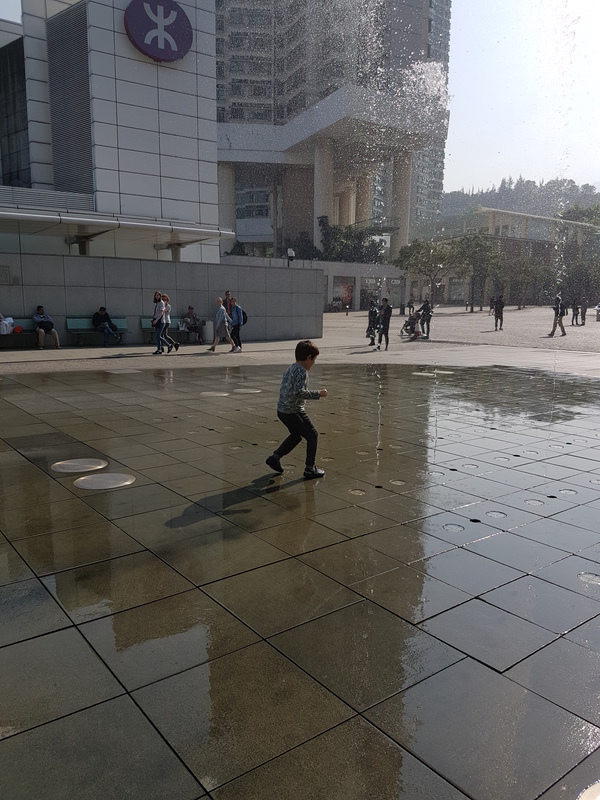 There’s also a small Subway near Exit B of the MTR, and a Sushi Take-Out kiosk near Exit A, so if the weather’s half decent, grab a seat in the square and watch the fountains. Ah yes, this brings me neatly on to some other fun stuff to do in Tung Chung. Master T-T has been taking swimming lessons at Tung Chung Public Pool for over a year now (general admission $17 adults/$8 kids weekdays, $19/$9 weekends; small, shallow outdoor pool open summer season only, heated Olympic-sized indoor pool open year-round). 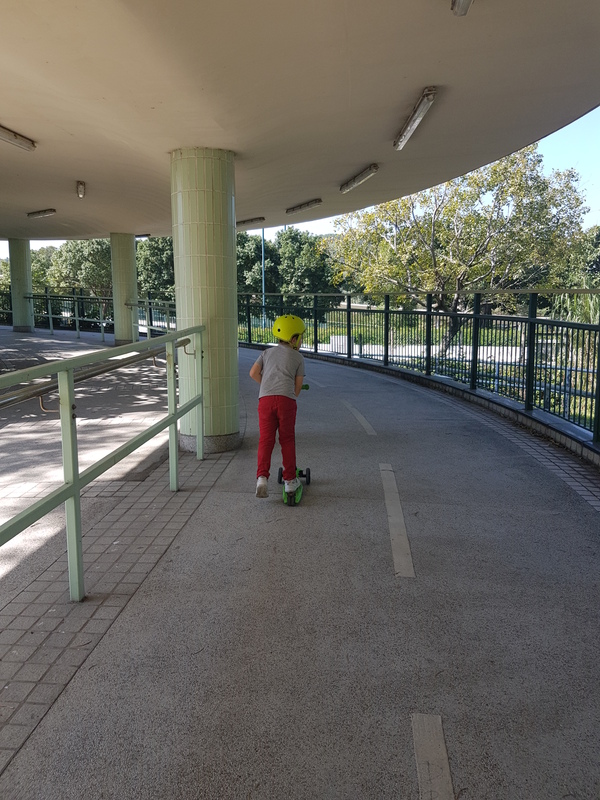 His absolute favourite thing to do on the way to the pool is to run through the fountains in the main square – on a hot day, you can hardly move for kids (and a few game adults) chucking themselves under the water jets. So if you’re a bit hot and bothered after your ride, bring a towel and cool off before the journey home. 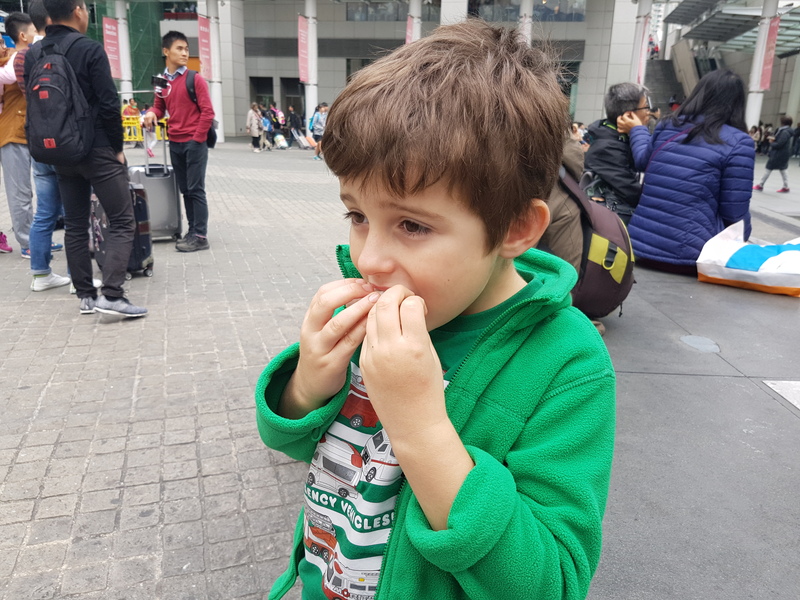 As you can see, there’s more to Lantau Island than the Big Buddha (and the Big Mouse) – I’d love to hear how you get on with your island exploration!